Samsung has announced to launch two new 'Corby' brand in the country. Corby Plus B3410 and Corby Pro B5310. The Corby is simply as the Corby B3410 in the market. The Corby Plus and Pro both boast of side- out QWERTY keypads and seems to be grated at the young audience would like to be constant touch with their friends through various means. Corby Pro boasted of GPRS, Wi-Fi, 3.2 megapixel camera, 3.5mm audio jack, bluetooth, FM radio, music player and double amount of memory than the original 'Corby'. The market price of Corby Pro is Rs.13,900 (INR). Corby Plus is slightly less price than Pro, it has GPRS, Wi-Fi, 2 megapixel camera, 3.5 mm audio jack, 3G, Music Player, FM radio. 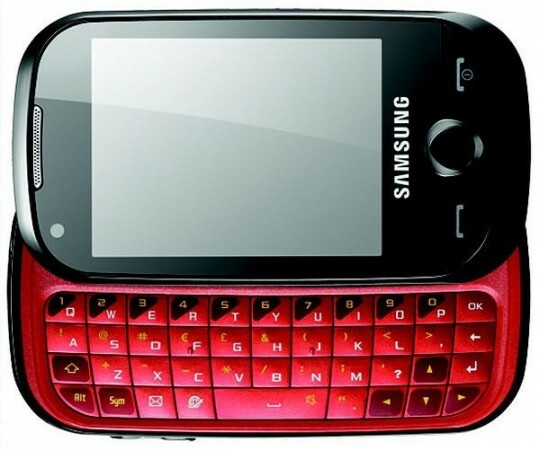 The market price of Samsung Pro is 10, 500. Both the handset has social networking facilities, which is in Corby also.